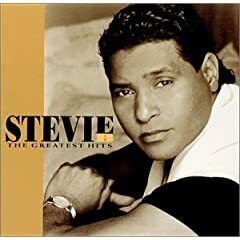 There really isn't another male artist that has been quite as influential in the Miami dance and Latin freestyle movement as Stevie B. This week we talked about the singer/songwriter and played his classic hits "Dreamin Of Love," "Spring Love" and "Because I Love You (The Postman Song)" from his 2005 release, The Greatest Hits, on SPG Music. We also talked a little about what he's been up to recently (tours with several other freestyle artists that include Timmy T, the Covergirls and many others.) We also mentioned the new "Spring Love 2007" featuring Pitbull and his latest single, "Running For Miles," which you can hear at his MySpace page. from "Stevie B - The Greatest Hits"